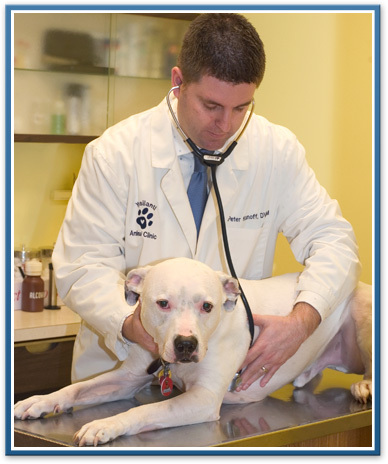 Offering expert veterinary care, from prevention to emergency support, Ypsilanti Animal Clinic provides a full range of services to pets in the Ypsilanti, Belleville, Canton, and Ann Arbor area that sets the standard for excellence in animal care. Utilizing the skills of our entire veterinary staff and our specialized pet diagnostic equipment, we remain on the leading edge of veterinary medicine. When our capabilities have been exhausted, or a case that may require specialized care, we provide private consultations with board certified specialists to give your pet the range of veterinary care he/she deserves. In addition to our reduced cost spay/neuter service, we also offer discounts to senior citizens and multiple pet households. Feel free to ask a member of our staff for details on qualifications.